Gokulashtami | Janmashtami 2015 is celebrated on September 5. 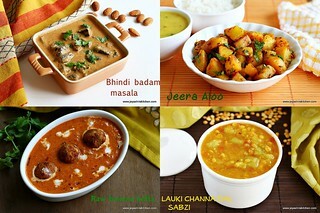 I have posted a complete list of recipes for janmashtami. 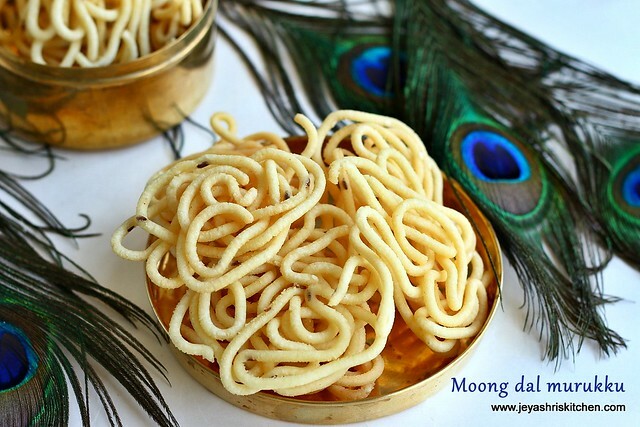 This moong dal murukku i wanted to post last yer itself. Infact i made it and didn't post as i was running out of time. So this year for gokulashtami i wanted to post this moong dal murukku as a first post. 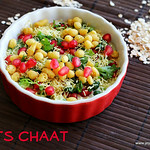 Stay tuned for festival recipes from Jeyashri's Kitchen. 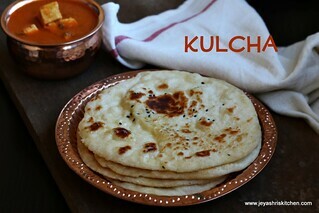 Try out this crispy moong dal murukku and let me know how it turned out. 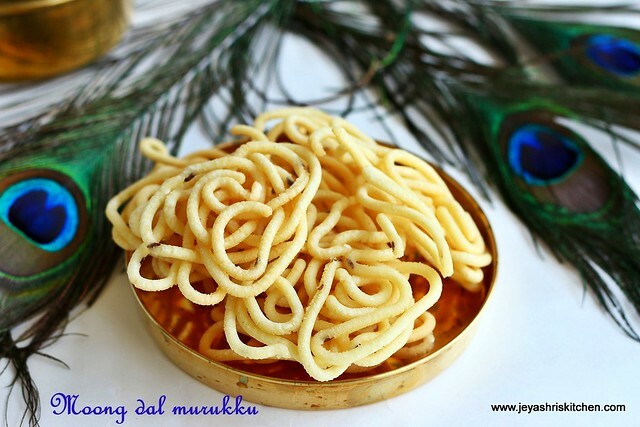 You can bookmark this murukku recipe for Diwali too. Dry roast the moong dal and make it into a fine powder. Now a days we get readymade moong dal flour in shops. 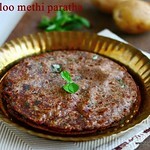 In a wide bowl add rice flour, roasted moong dal flour, butter, 1 tblsp hot oil, salt, asafoetida, cumin seeda, sesame seeds. Add water little by little and knead it into a smooth dough.If the dough is too hard you can not be able to press it in the murukku achu. If it is too loose there will be cracks and will consume more oil. So let it be soft. Keep this covered all the times. 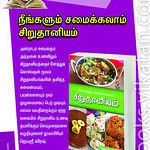 Take one portion of the dough and put it inside the murukku press. Heat oil in a pan for deep frying. Either press the murukku directly on the oil or press it on the back of a greased ladle and transfer it to the hot oil. Once the oil is hot, keep the flmae in medium high. 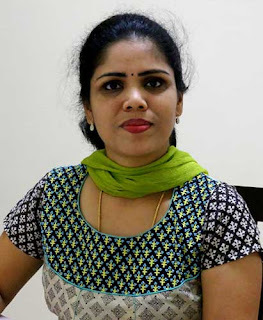 I used the thenkuzhal achu. My kids don't prefer the star one and they feel it will prick them in the throat. Once you squeeze them in the hot oil, When the shh sound of the oil subsides, take it out from the oil and drain it in the kitchen towel. Repeat the same process for the rest of the dough. Store the murukku in air tight container. Since we are roasing the moong dal, it will grind into a fine pwoder. So need to worry whether it will grind finely or not. Adding hot oil , while making dough gives crispiness to the murukku. So never skip it. 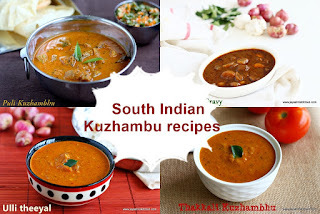 Some people cook the moong dal in pressure cooker and add to the rice flour and make murukku. If you feel it is convenient, follow that method. But for neivedhyam generally we don't follow that method. Very nice recipe. 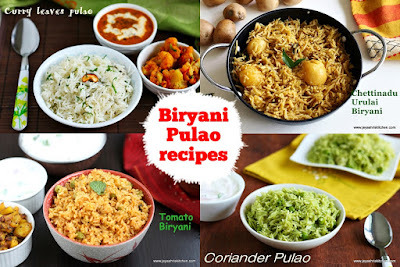 I have tried making this by cooking the moong dal in pressure cooker. 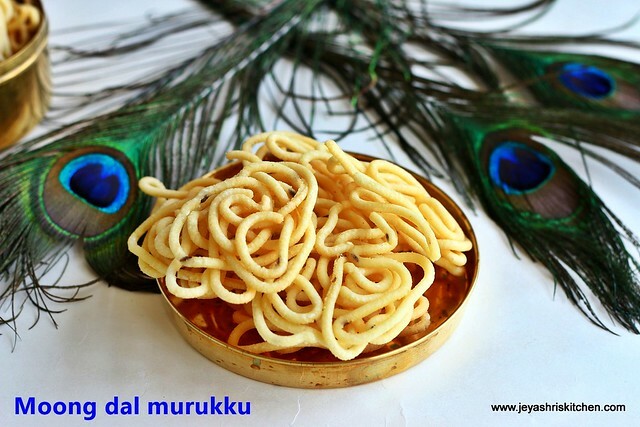 murukku will come crispy and tasty.will try this version too. thats such an amazing recipe. will try this as my kids are very fond of Murukkus these days. 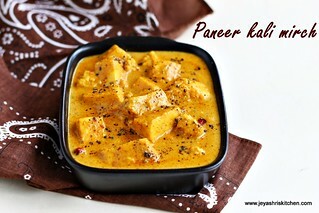 Can I use ghee instead of butter as we don't get white butter in UP.